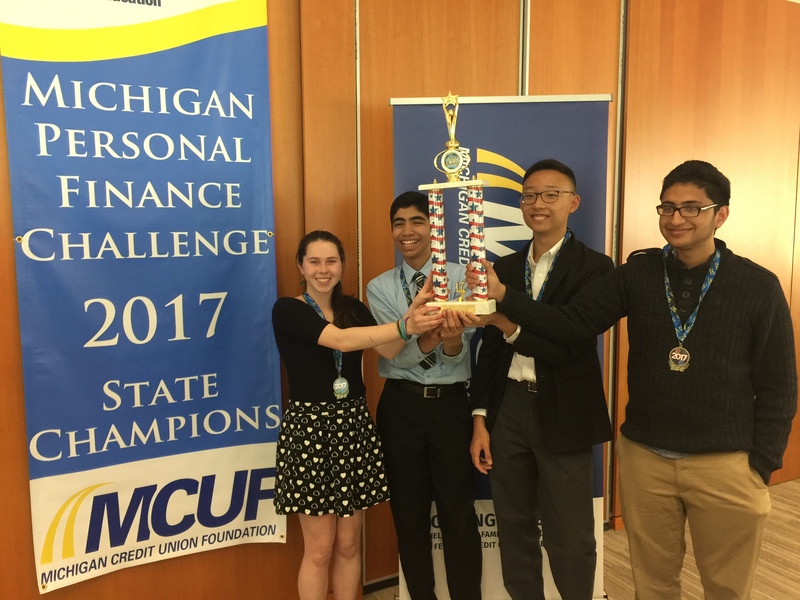 The Michigan Personal Finance Challenge is an opportunity for high school students to demonstrate their knowledge of Personal Finance by competing with other students across the state. Every Michigan teacher will have the opportunity to have their students participate in the online qualifying round of the Personal Finance Challenge. The top teams from across Michigan will be invited to participate in a case study presentation during the State Finals competition at the Federal Reserve Bank of Chicago-Detroit Branch on April 15, 2019. State Finals on April 15, 2019 will pit the top 20 teams in the state against one another. The top team from each of the eight regions will advance to the State Finals along with 12 at-large teams. The State Finals will be from 8:00am-2:00pm at the Federal Reserve Bank of Chicago-Detroit Branch. Students will begin the day participating in a Financial REALity fair conducted by Michigan credit unions. Breakfast, Lunch & light snacks will be provided. The State Finals are being held in conjunction with Money Smart Week. The two teams with the highest scores after the case study will then compete for the state title in a fast-paced “Quiz Bowl” round. The fun does not stop there! The winner of the state title will travel to the University of Nebraska on May 10, 2019 to represent Michigan in the National Personal Finance Challenge to win more cash and prizes!